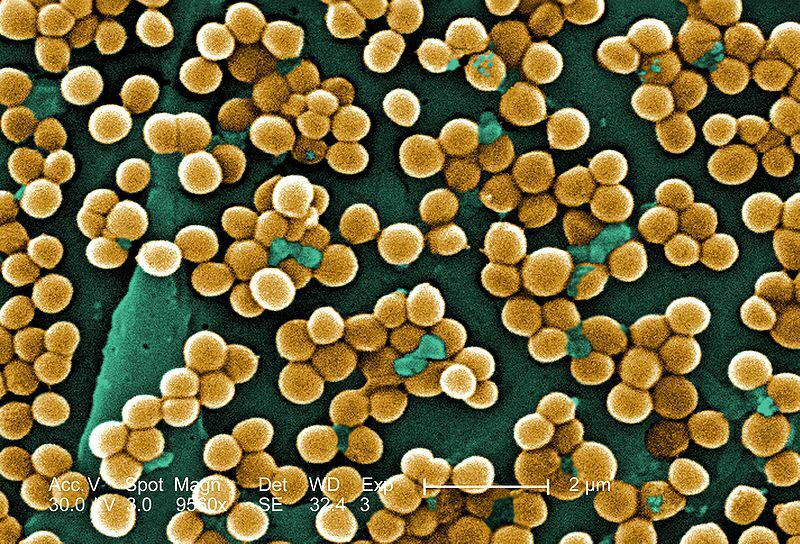 Staphylococcus is the genus name of a very large group of closely related bacteria, some of which are commonly found on and in the human body, and some of these bacteria are notorious causes of infection and disease. Among the most common of these bacteria that are capable of causing disease are Staphylococcus aureus and Staphylococcus epidermidis. Other species have been associated with infection and disease in humans, but the vast majority of such infections are associated with the two species identified above. These bacteria, and the infections they cause, are most commonly referred to as “Staph” and “staph infections,” and while not scientifically accurate, we will follow this common convention throughout. 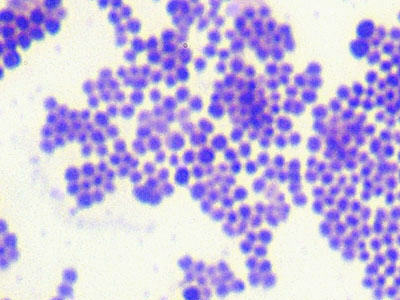 S. aureus is found in up to 30% of the population, usually in the nasal passages, where it causes absolutely no harm. S. epidermidis is found on the skin surfaces of practically, if not literally, every single person alive and is a perfectly normal inhabitant of that area of the body. Unfortunately, when either of these Staph species is introduced to parts of the body, especially internally, in which they are not normal, they can cause major, even life threatening, infections. The vast majority of serious Staph infections are caused by S. aureus and the vast majority of these types of infections occur in patients in healthcare settings, especially among hospitalized patients who have had surgery, open wounds, and/or catheters or other invasive medical devices which could have become contaminated, usually through the contaminated hands of healthcare workers. Staph can cause infection practically anywhere in the body, including blood borne systemic infections. As is always the case, these infections are more common and more serious in persons with immune systems weakened by disease, age (very young or very old), and some medical treatments for some medical conditions. The longer a person stays in the healthcare setting, the more likely they are to acquire an infection, many of which are caused by Staph bacteria. Most cases in which S. epidemidis is isolated from clinical samples are due to skin contamination, but it is possible for these bacteria to have been introduced into the body during invasive procedures prior to which skin disinfection was inadequate. Because it is possible for these bacteria to cause true disease, the physician, in consultation with microbiology laboratory professionals, must determine if the isolate represents true infection and disease, or simply contamination, prior to deciding to treat the presumed infection. Over treatment of bacteria that are not actually causing disease is an express route to antibiotic resistance and the likelihood of much more severe and difficult, if not impossible, to treat infections in the future. Other sources include milk and dairy products, as well as meat, poultry, eggs, and related products. 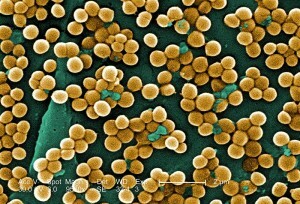 This entry was posted in Bacteria, MRSA Home and tagged antibiotics, CA-MRSA, children, cleaning wipes, day care, diarrhea, disinfectant wipes, food, gyms, Hand Sanitizer, Hand Sanitizers, healthcare settings, household, kitchens, MRSA, MRSA infections, pathogens, physical therapy, resistance.